Our eye’s lens acts like a camera lens by focussing light onto the retina at the back of our eye. A cataract is a clouding of our eye’s natural crystalline lens. The lens begins to yellow and harden, resulting in blurry vision, dull colour perception and difficulty seeing at night. Cataracts are the number 1 cause of preventable blindness worldwide and are also the most common cause of vision loss in people over the age of 40. This may be corrected with spectacles, but the improved vision you get is short-lived and will disappear as the cataract gets worse. Almost 1.5 million Australians aged 55 or over suffer from untreated cataracts. 70% of Australians aged 80 and above have cataracts. Cataracts develop slowly and has little or no effect on your vision at first. Only later, during its advanced stages will symptoms be more noticeable. Cataracts can affect young adults and even children, though it may be common amongst adults aged 40 and above. Cataracts get worse over time, so it is important to understand the stages of cataract progression in order to treat symptoms early and slow or even stop its progression. If left untreated, cataracts can lead to vision loss and, ultimately, blindness. Our trained optometrists will do a comprehensive eye test to confirm whether you have cataracts or other underlying visual problems. Our technology is cutting edge to give us a better, clearer view of your eye. 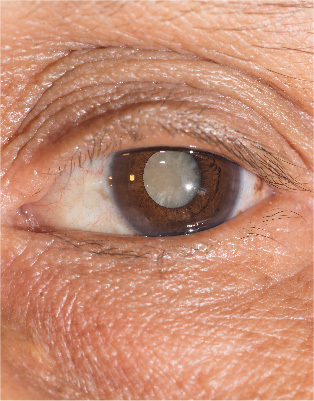 We can detect the beginnings of a cataract before you even notice that something is wrong. We will discuss options to improve your vision which includes new spectacles, strong bifocals, magnifiers, a discussion of appropriate lighting and other visual aids specifically for cataracts. If your cataracts have progressed enough to seriously impair your vision and affect your daily life, we may refer you for surgery. Are you worried about cataracts? Book in today for a professional assessment.